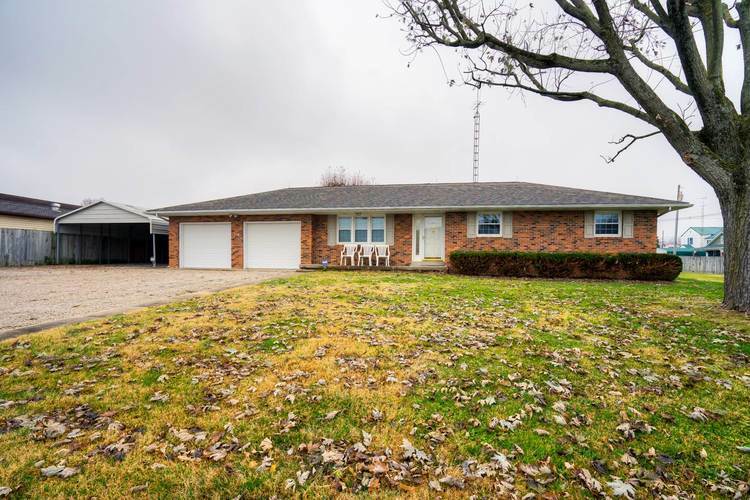 Brick home with .85 acre fenced in Dale. The house is well kept. The house features 3 bedroom and 1.5 bathroom on the main floor. The kitchen are oak cabinets. The house has a full unfinished basement with a full bathroom. The backyard is very large and level. The back patio is covered. There is also a 2 car garage and also detached carport. In addition a nice yard barn in the back yard. The house has a full backup generator as well as a fire/water safe that will be included with the house. School System : North Spencer County School Corp. Directions:1 Block south of the new Casey's gas station. School : North Spencer County School Corp.
School System:North Spencer County School Corp.